BOYS' 20X ORIGINAL FIT JEAN FOR THE YOUNG REBEL IN THE HOUSE. Who says you can't have 'cool' and also have the classics? These 20X® Original Fit jeans are comfortable, contemporary Western jeans, but also feature an adjust-to-fit waistband -- a classic that moms thank us for every time. 20X embroidery appears on the pocket facing and a 20X woven label is on the hip pocket. 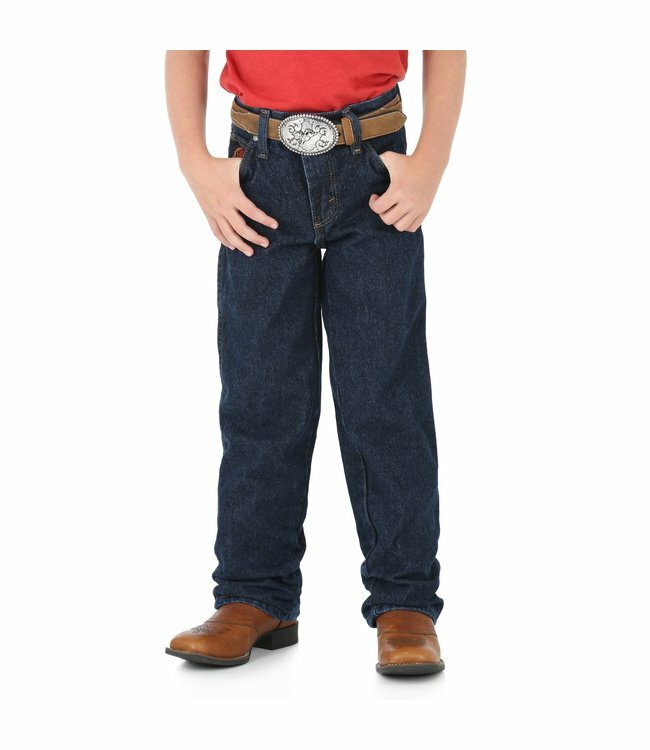 Fabric: 100% Cotton Denim, 14.75 oz.